At the risk of getting myself booted out of the Jaded Journalist Society—if such a body even exists—I'm going to do something I never thought I'd do. I'm going to defend Chicago aldermen—or at least take exception to the developing movement against aldermanic prerogative. This is the policy in which aldermen supposedly get the final say over zoning and land use issues in their wards on the grounds that—papa and mama know best. So shut up and do what we tell ya! At the moment, aldermanic prerogative is cited as a source of corruption, underdevelopment, segregation, and pretty much everything else wrong with Chicago today, with the possible exception of the Cubs's propensity for overpaying mediocre ballplayers with the proceeds they soak from the saps who show up to Wrigley game after game. In time, I'm sure we'll devise a way to blame the Ricketts on aldermanic prerogative as well. The list of dignitaries who have recently railed against aldermanic prerogative includes Mayor-elect Lori Lightfoot, Inspector General Joe Ferguson, and many of my dear friends of the progressive persuasion. So you see, taking this stand wins me no love from anyone, except maybe an alderman or two. That may come in handy should I have a late-in-life change of life and go to work for, say, Sterling Bay. Although the way they steamrolled the council into passing the Lincoln Yards TIF scam, I'm starting to think the real problem in Chicago is Sterling Bay prerogative. Anyway, I think the problem of aldermanic prerogative is greatly exaggerated. The policy itself exists only when the mayor allows it to. I defy Lightfoot, Ferguson, or anyone to give me one example of when aldermen—championing aldermanic prerogative as a rallying cry—voted against the mayor. They won't cause they can't. In contrast, there are several instances in which aldermen have thrown aldermanic prerogative out the window when ordered to do so by the mayor. Two weeks ago, 25th Ward alderman-elect Byron Sigcho-Lopez pleaded with aldermen not to approve the $1.1 billion 78 TIF deal. They did so anyway, even though the TIF project is targeted for Sigcho-Lopez's ward. Want another example? In 2018, 42nd Ward alderman Brendan Reilly asked the council to vote against the $5.5 million TIF handout to Presence Health, an antiabortion outfit. Mayor Rahm asked them to vote for the deal. The aldermen went with Rahm. That was a twofer—they abandoned their principles about aldermanic prerogative and a woman's right to choose in one fell swoop. I suspect the effort to make an issue out of something that does not really exist is the first step toward cutting the number of wards. I'm against anything that would give even more power to our already too-powerful mayors. Unless of course the next mayor proves to be the second coming of Harold Washington. Then—more power to you. Now we get to the issues raised by my progressive friends—the role of aldermanic prerogative in blocking efforts to build affordable housing. The fight for affordable housing and integration had been going on long before Napolitano came on the scene. In the years after World War II, efforts championed by Elizabeth Wood and Robert Taylor to integrate publicly funded housing on the southwest and southeast sides were greeted by white riots. By the 1950s, Mayor Richard J. Daley realized he would face political insurrection from generally loyal Democratic white voters if he dared to promote integration in subsidized housing, so he backed off—not that he was so keen on the policy in the first place. And mayors have been backing off on integration and affordable housing ever since, especially Mayor Richard M. Daley and Mayor Rahm. So, yes, Napolitano used aldermanic prerogative to rally other aldermen to his anti­affordable housing cause. And it worked. 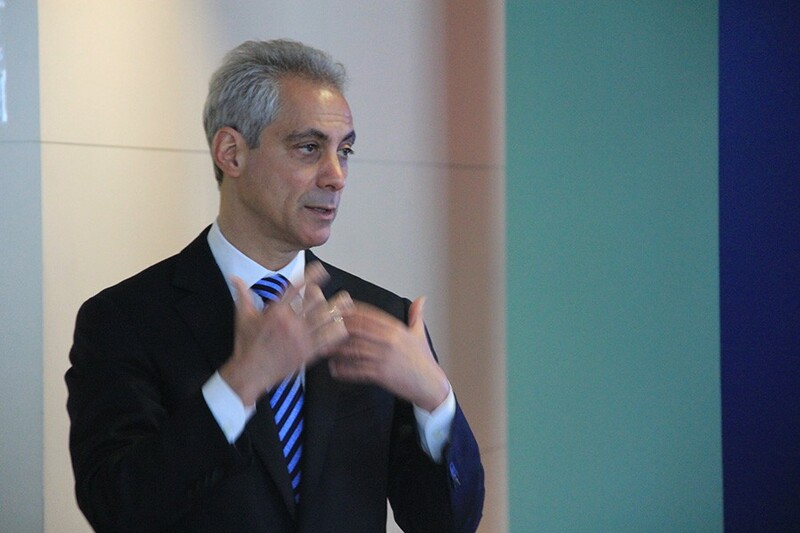 But ask yourself this—what would have happened had Mayor Rahm stood up for affordable housing? You know, if he'd done the right thing—for once in his mayoral life. Would the other aldermen have sided with Rahm as they did with Presence and the 78? My guess is yes. But, we'll never know. Affordable housing is just one of the many issues Rahm refused to stick out his neck for—along with taking a stand against corruption by fighting to remove Alderman Ed Burke as chair of the finance committee. Why would a politician as practical as Rahm do something as impractical as taking a principled stand on affordable housing? It would not buy him much leverage in the council. If, for instance, he successfully lobbied the council to defy Napolitano on those 30 units, it would be harder for Rahm to extract Napolitano's vote on something he really wants. Like, just to pick one recent example, the $2.4 billion-dollar handouts for the Lincoln Yards and 78 projects. By the way, Napolitano voted yes on both of those TIF deals—even though they'll jack up property taxes throughout the city, including Edison Park, and Forest Glen, and all the other communities in the 41st Ward. If this keeps up, the 41st Ward will be unaffordable to the folks who voted for Napolitano. Bottom line, the real issue here isn't aldermanic prerogative—it's Mayor Rahm's aversion to affordable housing. And yet I suspect Napolitano's crusade against those 30 units will be cited by many as another reason we should do away with aldermanic prerogative. Grading our predictions on who voted how in today's City Council Children's Museum vote.